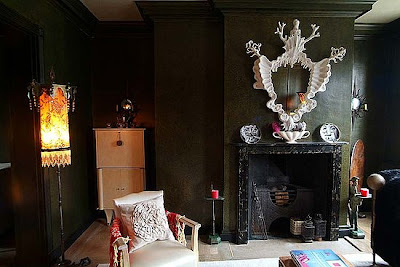 Urban LifeStyle Decor: Gothic Grunge - the furniture your mother warned you about. Gothic Grunge - the furniture your mother warned you about. ~ Grunge: the dark side of bohemian life. 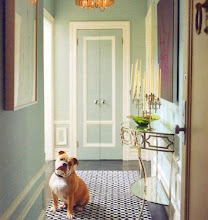 When it comes to street fashion of home decor ~ Love Anna James. For the true urban lifestyle, you can't forgo ~ Grunge: the dark side of bohemian life. From London street fashion to Romeo + Juliet, Anna James receives her inspiration from the graffiti found on the archway entrance of Juliet's home in Verona, Italy. Working out of a studio in South East London, she transforms 20th century antiques into one-of-a-kind, hand-painted ~ treasures. 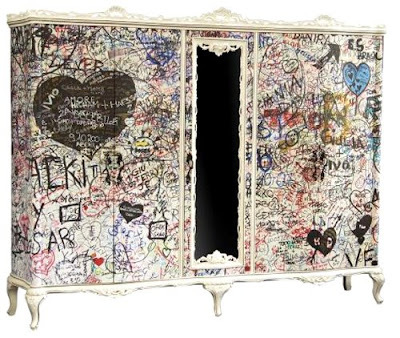 Like the Verona Boudoir Chest, each piece is fully restored and etched with random declarations of love + other unrequited scribblings from around the world. Like her art, Anna remains a mystery, but her urban inspired graffiti paints a picture of a true avant-garde furniture + decor designer. 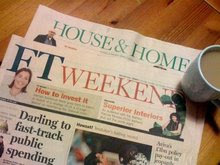 Other must sees from ~ Love Anna James: granny takes a trip, love lights and planet queen. For purchases and commissions, contact Anna at www.loveannajames.com. Where can I get a armoire like this? Beautiful. The dark walls, mirror crawling up the wall, floor lamp...all breathtaking. That is one cool armoire. So hip-hop. I Love the dark walls. a another designer friend is doing a lot of dark walls in projects here lately. Gothic Grunge...my two favorite genres! Great blog post.....it is Gothic Grunge....WOW! I started a new blog and am looking for contributors. Let me know if you want to join! If you don't know about Jimmie, you've just GOT to check out his furniture site! that last pic is wild!! These are definitely works of art.Very interesting details and your blog is very well written. Thank you very much for following my blog - I just added your blog in my blog list. I am glad I followed the link to your blog. You have amazing content in your blog. I am officially a GROUPIE for The Urban LifeStyle. OMG, I am DYING over that armoire! love love love!!! I adore black walls, although I don't think I could handle all the 4 walls, I would feel like I was living in a cave and that would lose it's value after a little while. Hm, this design would keep me restless! Honestly, will this look good to you in ten years? Maybe I am the old fogie here, help me understand! visually stunning, but my hubby here on the couch next to me isn't on board, lol! the grudge arrangement is really exquisite!! Thanks for posting it! ok, i'm a bit late seeing this but....wow. that chest, what fantastic idea! i have an old chest of drawers that needs..something...a new life. maybe i'll resurrect it, have a few friends over, and graffiti the darn thing. Wow! I love the contrast in this peace. So cool, fun and classy at the same time!